Creative Works recently installed the Lazer Frenzy attraction at two different John's Incredible Pizza locations on the west coast. This attraction (www.LAZERFRENZY.com) is a great fit for John’s Incredible Pizza, where guests can enjoy endless pizza and a huge arcade area packed full with interactive games. 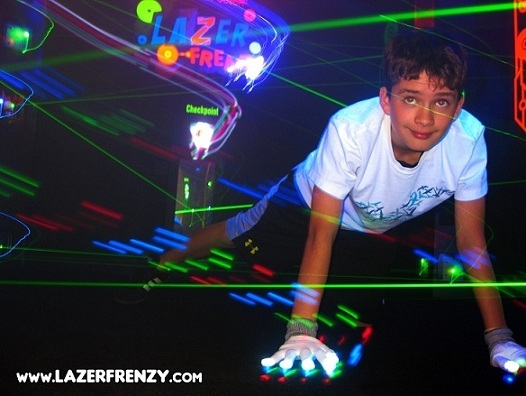 The two locations that have been recently equipped with Lazer Frenzy are Buena Park, CA and Portland, OR. Buena Park was an existing facility that had the attraction installed in January 2011. Portland, which is a brand new location, installed Lazer Frenzy in March 2011, just before their grand opening. The facility in Portland is somewhat unique in that it is the first John’s Incredible Pizza location outside of California. This new facility gives them a total of eleven locations along the west coast.